Over the past few months, the Team of Advisors has been sharing how they use the Partnership Principles in their personal health journeys. Laura, who’s living with IPF, recently sat down with us to talk about the New Britain PF Support Group she launched in Connecticut, and how important it is to have a community of people who know what you’re going through. Check out the Q&A below to see how she helps patients, caregivers, and their families understand that they’re not alone. Tell us a little about the New Britain PF Support Group — who’s involved and what’s the goal? The New Britain PF Support Group had the first meeting September 2015. The meeting is for the patient and caregiver, plus family and friends who may be interested in understanding what their loved one is going through. The goal is to provide information on PF/IPF. Knowledge can empower the patient and caregiver to work with their doctors and professional team. Most importantly, the support group lets people know they are not alone — we are all in this together and we understand. How did you come up with the idea of creating the group? There was only one support group in Connecticut and it was quarterly in New Haven, about an hour away from me. I would go and get such wonderful information and talk to some really awesome people, both professionals and patients. Most of the patients were from the southern part of CT, and I felt that people in the northern part of the state would benefit from a face-to-face support group meeting. I knew from going to the meetings at Yale New Haven Hospital that I always left there feeling more empowered and emotionally stronger. I wanted other PF/IPF patients to feel the same. Since September 2015, another group has been started further west. In attending those meetings I’ve met new patients. It’s exciting to see that we are touching more and more PF/IPF patients who didn’t have face-to-face support with others who shared the same issue. What’s the most beneficial aspect of partnering with others who know what you’re going through? 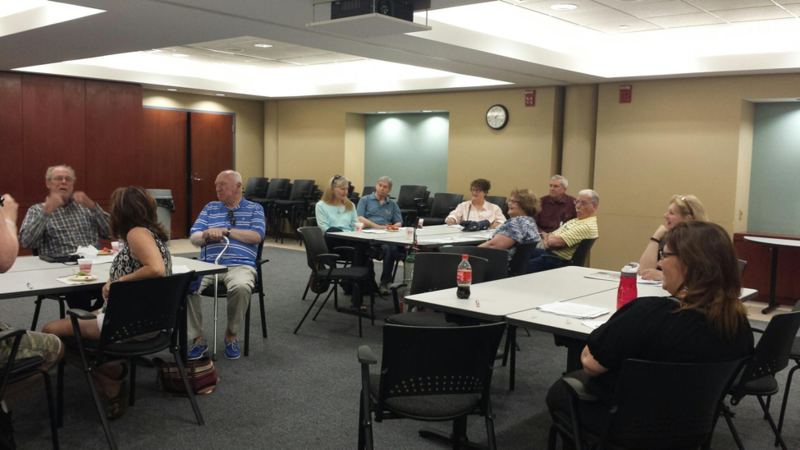 We have quarterly meetings and while the first part is educational (information about what is going on in treatments for IPF/PF), the majority of the meeting is support. If you sat in the corner and watched, you’d notice that the patients and caregivers are like sponges. They want to get information from others who’ve “been there” and they want to give others their knowledge. At the second meeting my daughter said “Mom, they just want to talk,” and she’s so right. Meetings are supposed to be two hours, but not one has ended on time because no one wants to leave. That speaks volumes. At our first meeting we had 23 people, and each meeting averages about that many. We have new patients who look totally devastated when they walk in and relieved when they leave. It humbles me to see how everyone touches a life in there. 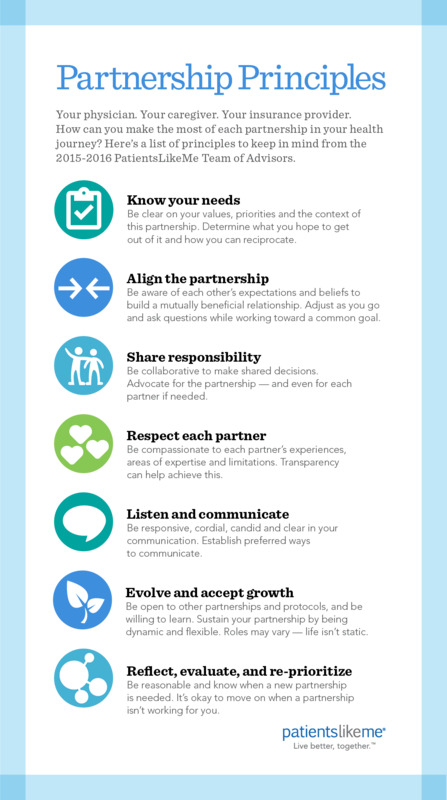 How is this type of peer partnering different from your other health-related relationships? For me, this disease has become a full-time job. I’m in a clinical trial, I am in a transplant program at one hospital and being evaluated at another at the moment. That’s in addition to going to the gym to stay strong or to pulmonary rehab maintenance. I have to make sure that all my tests are updated so life becomes one big doctor’s appointment. The doctors, coordinators, nurses, technicians, etc. are all very nice and helpful, but there is nothing like being able to vent your frustration or talk about the excitement of “passing” a test to another patient. Someone who knows exactly what you are going through. It’s priceless, really. What have been some of the challenges of starting a support group? I’ve been lucky, the only challenge I’ve had is getting the facility to let us start a meeting. Once that was cleared it’s been a breeze. The Hospital for Special Care has been so very good to me. The Pulmonary staff is so caring and awesome to deal with. 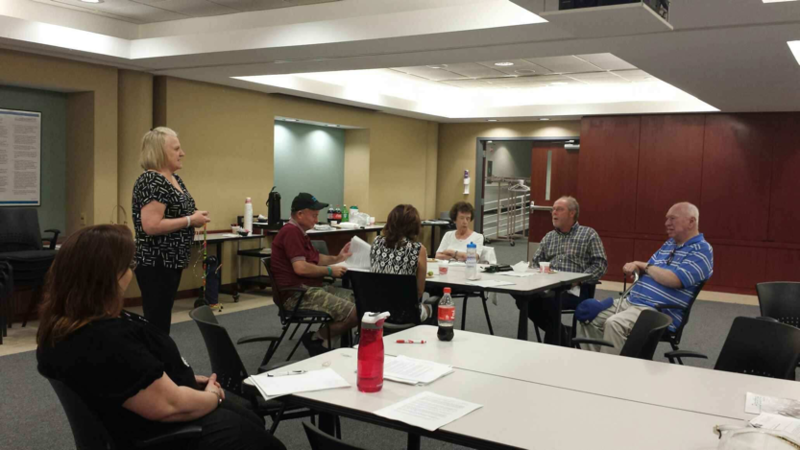 I became a Support Group Leader with the Pulmonary Fibrosis Foundation (PFF). They provide grants to start a group and educational booklets. Most importantly they provide support to the support group leaders. I’m told by other leaders that it’s a challenge getting presenters. I’m sure I will have that issue eventually but being a new group that hasn’t happened yet. I truly enjoy seeing the patients and caregivers. The more patients and caregivers we have, the more family and friends we can educate. The more I get out of my own head and help others, the more emotionally strong and empowered I feel. Every time I see the number of people and new people who show up or even contact me I get emotional. Makes me realize how not alone I am. Do you have any advice for others looking to start similar groups? Yes: Find a place, contact Pulmonary Fibrosis Foundation, and do it. There is definitely a need.